Pana Sankranti or Maha Bishuba Sankranti, also known as — Mesha Sankranti, also celebrated as the Odia New Year. 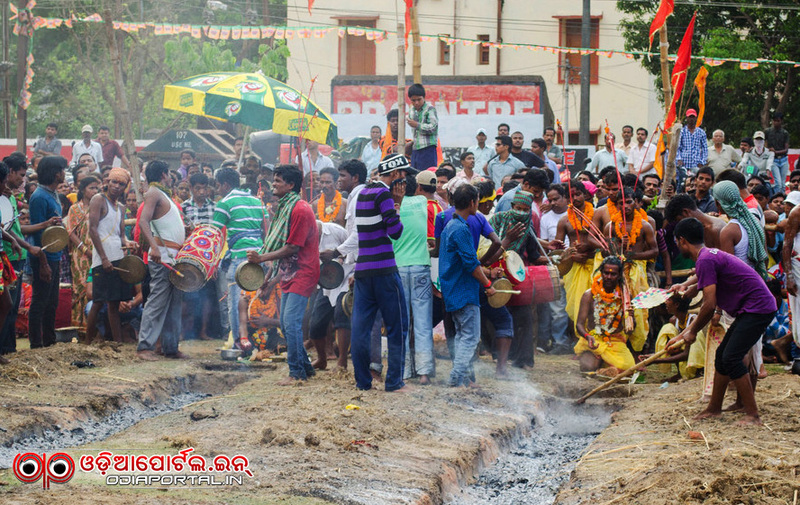 This day marks the beginning of the — New Year in the traditional Odia calendar. 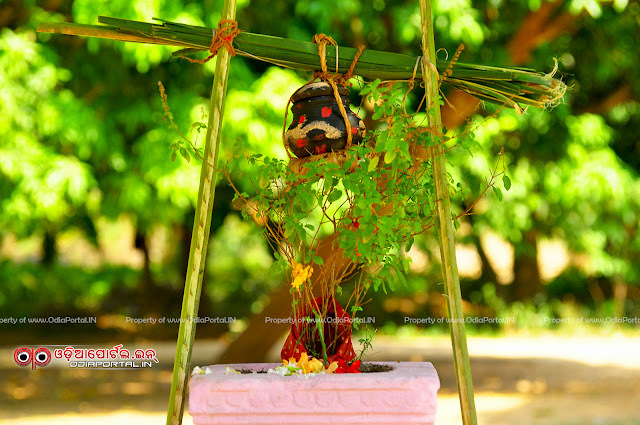 People from all over the state worship Hanuman on this day and celebrate it as his birthday. This day also called as — Hanuman Jayanti. In Odisha, on this day ‘Chhatua or Sattu’, ‘Pana’, Umbrellas (Chatta), fans — (Barada patra Binchana) and ‘Paduka’ (Kathau) are offered to Brahmins and the poor people. 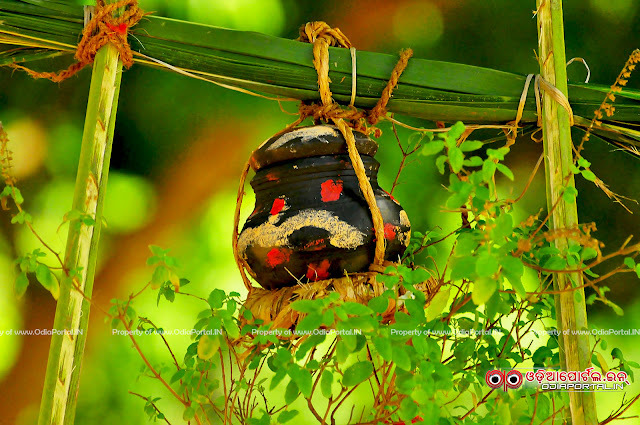 Above the ‘Tulasi’ plant or Chaura, a shed is prepared with branches of green leaves and painted pitcher of smaller size — (Basundhara Theki) filled with water is suspended with a rope hanger. Beneath it a small piece of straw (i.e: Kusa) is fixed to a hole in the pitcher through which water is drained drop by drop on the Tulasi plant. DOWNLOAD: Pana Sankranti, Odia New Year eGreeting cards & Wishes. 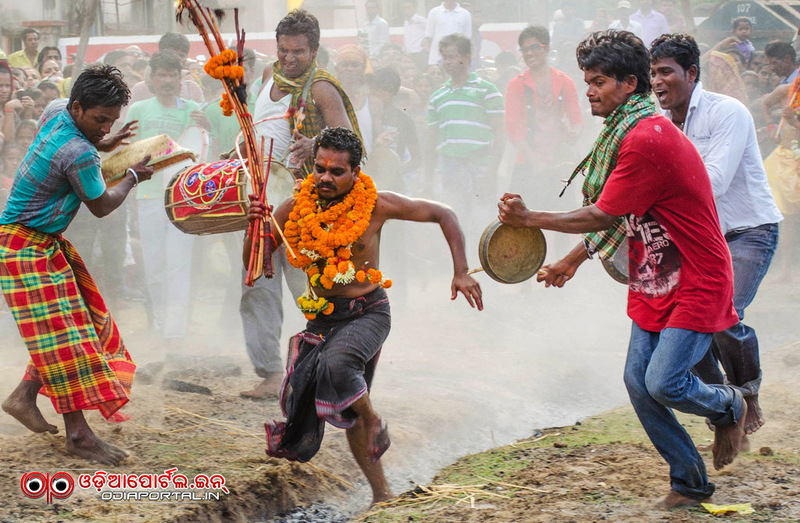 A number of other festivals otherwise known as Jhamu Yatra, Hingula Yatra — (Patua Yatra), Danda Yatra etc., which originated as ritualistic observances of “Chaitra Parva” culminate in the Bishuba Sankranti and make a grand finale of the whole celebration.